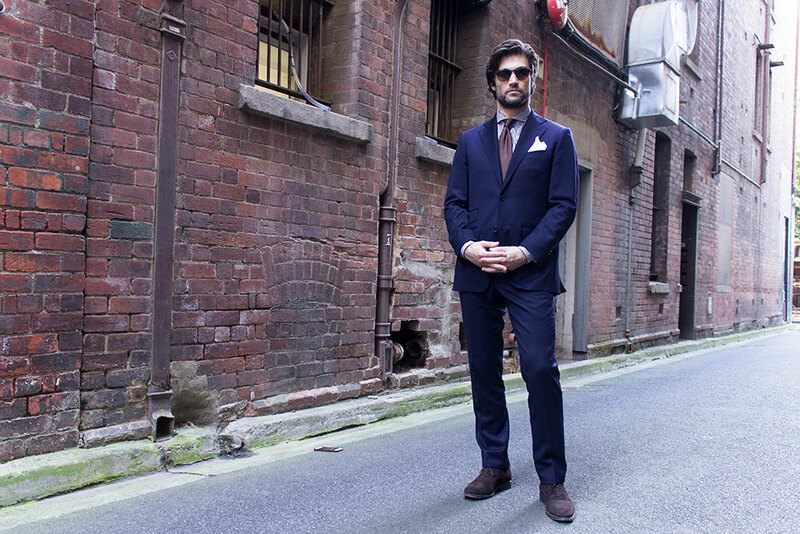 "There are many ways men can make the one suit look entirely different every day." There’s no shame in wearing the same suit two days in a row, and in fact, if you’re clever you can get away with it without anyone noticing. There are many ways men can make the one suit look entirely different every day and get by with the minimum number of suits: one. 1The first way to change your suit’s appearance is to dress it up. Formal accessories and finishings equate to a guaranteed smart look. Silk ties in different styles and patterns are like a new wardrobe whenever you wear one. Plain silk is a classic look with every suit, printed ties add a little flair. You may complement your suit with other accessories, such as a smart pair of cufflinks or a tie bar. These metallic flashes are subtle and an elegant way to improve your look. Build a collection and you'll have a timeless arsenal with which to dress. 2A simple vest is another way to transform one suit into several. 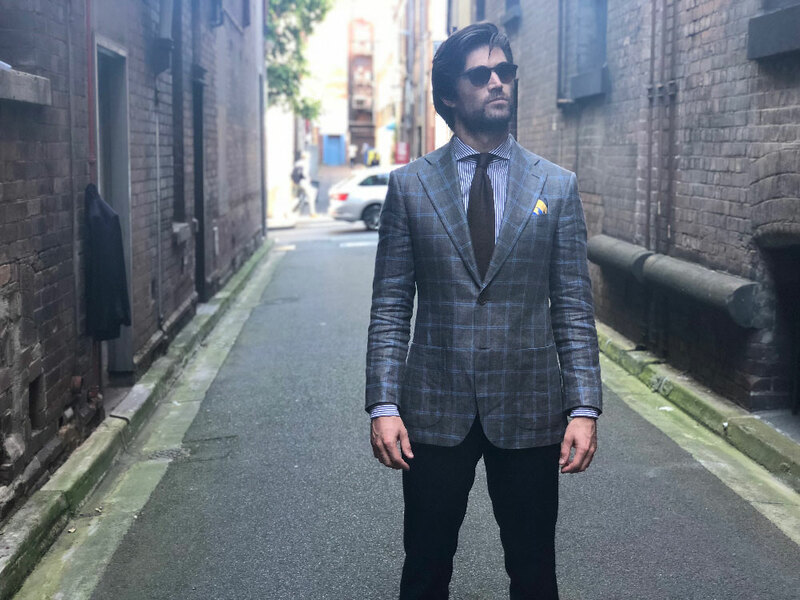 A three-piece suit is an elegant choice for a gentleman, and with vests in contrasting colours or patterns, you soon arrive at a veritable smorgasbord of sartorial opportunity. It's also a fun twist on classic corporate dressing, meaning when you take off your jacket in the office, you'll still be dressed up. 3Your same suit can be dressed down just as easily. Take a stylish approach and you can be just as elegant when casual. An open-necked shirt can still look smart and can be substituted in a range of colours. 4Knitwear is another way to wear your suit; a subtle V-neck or a turtleneck worn with an undershirt can still give you an off-duty vibe while at the office. Also consider your footwear choice: instead of formal or business shoes, a pair of suede shoes has a playful aesthetic. 5Another way to get more wear from your suit is to mix and match your trousers and blazer. This opens up options for even more adventure. Try wearing your blazer with a pair of chinos, or the trousers with a different jacket. Of course the colour of the suit will affect the result, but navy, grey and brown suits mix and match best. A business suit will last longer if you have several on rotation, and you can never have too many suits. 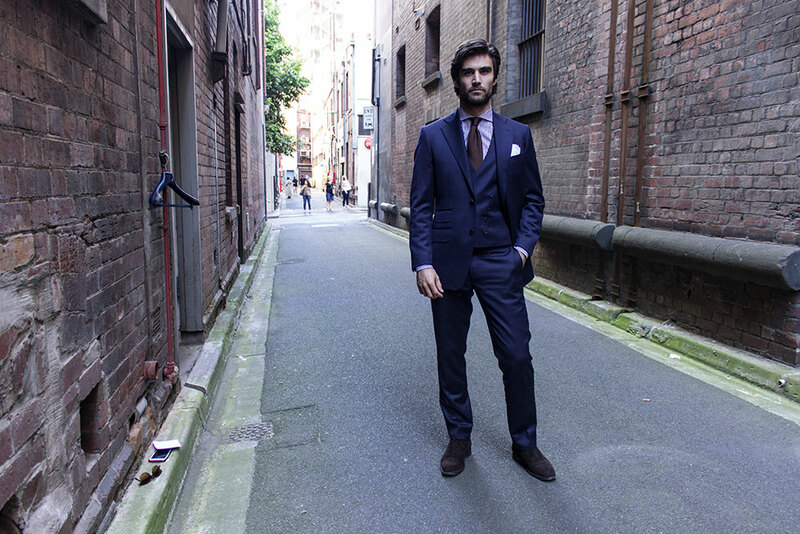 With only one suit a second pair of trousers is a smart option, as it won’t wear as quickly. Speak to your tailor about how simple it is to order an extra pair.